By the time the talking heads that populate Hulu’s Fyre Fraud documentary (and I’m using that designation loosely) start explaining what FOMO and influencers are in basic terms about midway through, anyone who’s been paying attention to, oh, culture in the past 10 years has to wonder who exactly this thing is for. I’m still not sure. Perhaps people who have just awoken from comas or maybe extraterrestrials? Very old people who just this week decided to learn what’s going on in the world and now, thanks to Hulu’s release strategy, have learned about the art of the surprise release and Coachella in one sitting. Jenner Furst and Julia Willoughby Nason’s Fyre Fraud is not merely hacky and kind of dumb—it’s the kind of storytelling that should be redundant to anyone who followed the Fyre Festival as it was disintegrating in real time in 2017. 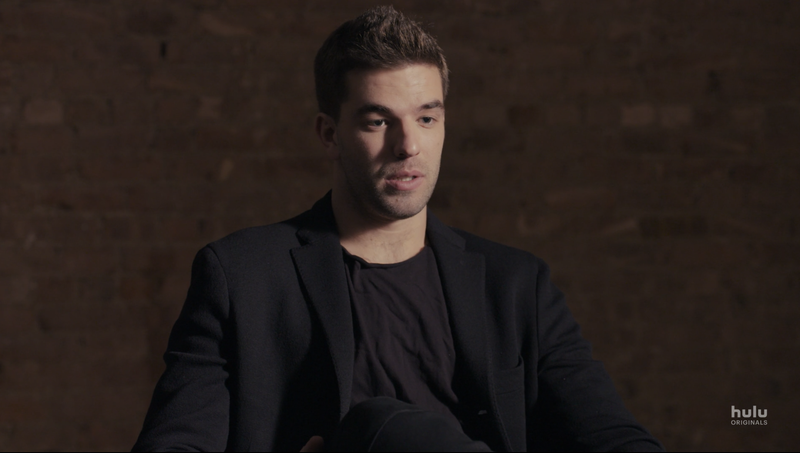 That would be merely forgivable, but Fyre Fraud spreads itself into offensive territory by having about as much respect for the intelligence of its audience as Billy McFarland did for the thousands of people he scammed out of millions of dollars via a number of schemes that culminated with the Fyre Fest disaster. Its talking heads—who frequently had nothing to do with the festival aside from possibly reporting or opining on it in their respective media outlets when it was happening—frequently describe what you’re seeing on screen. Or, stock footage from a variety of cartoons underscores what you’re hearing, so that when in what feels like a climactic mic-drop moment, writer/psychologist Maria Konnikova McFarland a “con artist” a little more than 10 minutes before Fraud is over, a black-and-white cartoon of a wolf in sheep’s clothing appears on screen. Just in case you weren’t sure what a con artist was and needed a visual representation by way of anthropomorphized animal? The aesthetic choices alone are enough to make me cringe—Siri-like robot voices reading documents; a section in which a ridiculous email from Fyre marketing director Grant Margolin is read on screen by a writer from Billboard but his words are cut up and arranged so that the overlap in a sound collage that renders Margolin’s screed unintelligible; the tendency to meme-ify certain subjects’ words so as to... I honestly don’t even know. What’s funny about this last choice is that in a comment to The Ringer regarding the dueling nature of Hulu’s and Netflix’s superior doc, Chris Smith’s Fyre (which drops Friday), Furst said the goal here was to create “a bigger thinkpiece about our generation that was a cautionary tale with deep implications that relate to our political system, to our current president... something far beyond just a meme quality.” Beyond but also including memes, apparently. Furst’s entire assessment of Fyre Fraud, in fact, boggles my mind—a movie aspiring to a thinkpiece is like Per Se’s prix fix aspiring to Lunchables. That’s what he was going for? He is correct insofar that Fyre Fraud isn’t really a film—it’s a longform TV package not unlike one of those clip-filled, heavily narrated retrospectives that CNN or VH1 runs. That doesn’t make it inherently unenjoyable, but referring to it like it’s cinema would be like referring to the Fyre Festival itself as an exotic weekend getaway. It’s one of those documentaries that mostly documents people giving their opinions in a room. I do not fault these people, which include writers for Vox, Bloomberg, and Jezebel legend Jia Tolentino, for showing up and answering the questions they were asked. It is not their fault that this film was edited with the subtlety of someone with literal ham roasts for hands and the patronizing need to perform literalness of an off-duty first-grade teacher. The squabbling between the makers of Fyre Fraud and Fyre comes down to access. The squabbling between the makers of Fyre Fraud and Fyre comes down to access—Fyre Fraud’s Furst implied to The Ringer that because a Jerry Media (which was hired to market the festival) employee has a production credit on Fyre, it’s biased and lets Jerry Media off easy. (In Fyre Fraud, ex-Jerry staffer Oren Aks alleges that the company he used to work for knew well in advance that the festival was going to be impossible to pull off and effectively deceived people by continuing to market it.) Fyre’s Smith claimed that Fyre Fraud producers paid McFarland $250,000 to appear in their doc, a number Furst refuted while admitting that McFarland was paid. They should have saved their money. The idea that the directors scored an “exclusive” interview with McFarland may initially seem attractive to viewers, but it has the effect of that scene in National Lampoon’s Christmas Vacation when Clark cuts open the baked-golden turkey to reveal a carcass so overcooked that there’s nothing left under its skin. McFarland says virtually nothing of consequence in Fyre Fraud. The closest he comes to actually showing something about who he is occurs when he reveals that he pronounces “crayon” like “cran.” He refuses to answer questions and when he’s caught in several lies that are eventually run down (again, by that goddamn Siri voice) in montage form, you realize that Fyre Fraud has merely provided another platform for a liar’s lies without adding anything to the conversation. It is not telling that McFarland continued his egomaniacal attempt to convert the truth to his bent reality—he is pathological, and that is clearly what he’ll do when given the opportunity. For a similar effect, Fyre Fraud producers could have paid water $250,000 to prove that it’s wet by flushing that money down a literal toilet. But while Fyre includes dozens of interviews after the fact with those who planned the festival, employees from the Bahamas construction site, and attendees who arrived, its the mountain of footage taken during the festival conception and preparation that accounts for the compelling bulk of the movie. It’s these scenes, of glib meetings with investors—and Ja Rule and McFarland cackling on boats about how everyone just lapped up their supermodel —that make the movie feel like a pressure cooker. I don’t want to excuse potential propaganda and dismiss Furst’s suggestion that the Jerry Media connection created bias. It may have. But Jerry Media’s extensive behind-the-scenes footage, which Fyre Fraud is lacking and makes up for with people chattering, creates a narrative with palpable tension. It makes Fyre function as a film. Fyre is otherwise well stocked with people who were actually there; people who, while not McFarland, have way more to share about him and the situation that he’d ever allow. (These people include one of the movie’s producers and my former Gawker/Jezebel colleague, Gabrielle Bluestone.) It seems like both movies have their share of potentially shady ethics, which is unfortunately appropriate given the subject matter. And, to a point frequently jackhammered by Fyre Fraud, it dovetails well with the way things are now.